Today, as part of the work of the First Forum of Interregional Cooperation between Russia and Uzbekistan, the talks of the heads of states Vladimir Putin and Shavkat Mirziyoyev. The Russian leader noted that Uzbekistan was a reliable ally and strategic partner of Russia, so the two countries needed to expand the base of interaction. The Governor of the Sverdlovsk region Yevgeny Kuyvashev also takes an active part in this major event. He made a proposal to sign a comprehensive cooperation agreement between the Sverdlovsk region and the Namangan region of the Republic of Uzbekistan. 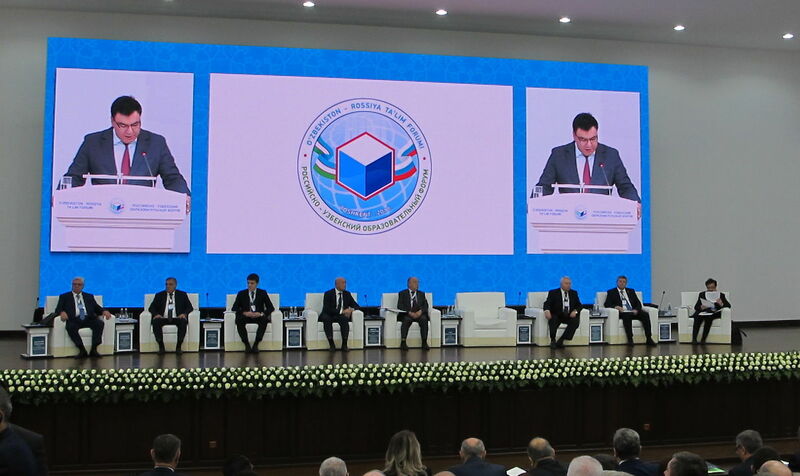 The main success of the forum was the signing of about 130 agreements on cooperation between universities of Russia and Uzbekistan amounting to 27 billion rubles, as well as a return to the old traditions of cooperation in the educational sphere. There is also a signed cooperation agreement between Ural State University of Economics and Tashkent State University of Economics. As of today, Ural University has successfully launched a joint project of dual-degree in undergraduate programs. Today, with the approval and support of the Government of the Republic of Uzbekistan, 186 students study at USUE. USUE actively develops international relations with the Republic of Uzbekistan. It closely cooperates in the field of science and education with nine universities of Uzbekistan.